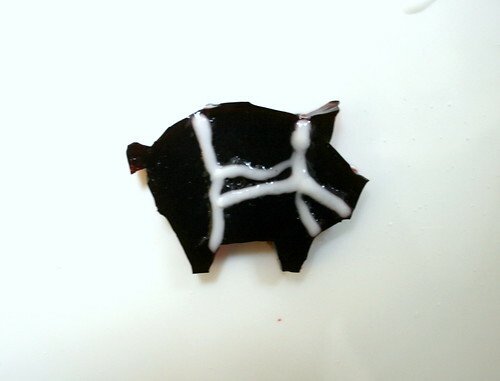 jello jiggler pig, with butchery chart. I realize these look pretty gross. the icing was not willing to cooperate. even for art's sake.